Press twice to buy two items. Wish there was an easy way to slim down your tummy, hips, and thighs? You’re not alone! As the years go by, most of us put on weight, but we have a hard time losing it. 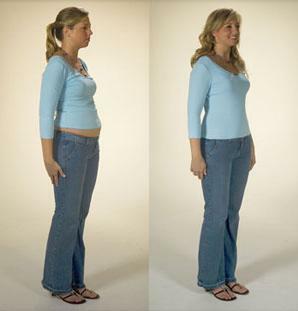 Now, you can have the gorgeous figure you’ve always dreamed of – instantly and comfortably! So you can look the great way you want to when you go out for a special night, go to work, or any other time! Thanks to modern technology, LuxStyle Slimming Pants offer the instantly slimmer, shapely look that you could only get from traditional – and uncomfortable – corsets or girdles. The advanced technology has already made the same kind of slimming pants a runaway success in America – and now LuxStyle brings them to the UK. Clothes too small? Problem solved! You’ll be able to slip into clothes that are 1, 2, or even 3 sizes smaller instantly! So you’ll be able to wear the pretty clothes you’ve got in your closet you haven’t been able to fit into. Our slimming pants are made with advanced fabrics and elastics to be really comfortable to wear. In fact, you’ll even forget you’re wearing them! They even make it easy to go to the restroom. The pants feature a unique blend of 80% Nylon and 20% Lycra. The combination makes them incredibly soft and flexible yet gives them the elastic strength they need to hold in your tummy, hips, and thighs – and give you the gorgeous, youthful hourglass figure you want. Our slimming pants give you coverage from the chest clear down to just above the knees. So all the areas you worry about are suddenly visibly slimmer! Slimming Pants Supreme goes up to the chest in length and it features straps over the shoulders for extra support. This means it won't roll down while you are wearing it! You’ll have the look that gives you the confidence you want. So you’ll be at your best at any social occasion. 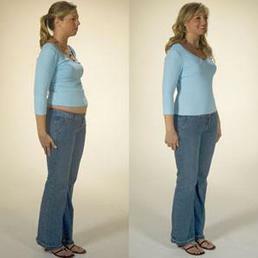 Get rid of post pregnancy belly and wobbly tummy! Our Slimming Pants help you reduce weight and shape your body. It helps you regain your gorgeous look very quick! The special sewing technique and fabrics assure that there’s no telltale look. So no one will guess you’re wearing our slimming pants. Regardless of your age, LuxStyle slimming pants will give you the slimmer, shapely look you dream of instantly. Buy yours today at our low introductory price – just £29.95! Purchase your LuxStyle Slimming Pants right now and enjoy our low introductory price of only £29.95 per pair. Offer good for a limited time only. So act now! We publish all reviews on our website. Please refrain from using profanities, as we will not be able to publish any reviews containing this. Thank you. Order before 16.30 and we will send your order today. Lux International Sales ApS - All prices are in AUD and include applicable taxes.